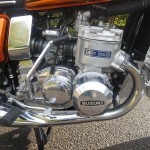 Restored 1974 Suzki GT750L Motorcycle. 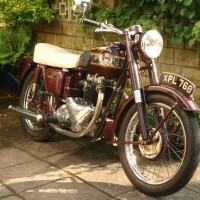 This Suzuki was beautifully restored by its engineer owner. 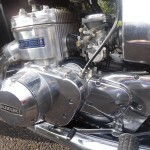 The engine side covers, carb tops and oil pump cover were removed and sent to a specialist for mirror polishing. 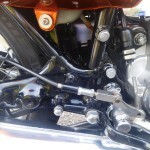 The water pump nylon drive gear was replaced as a precaution. 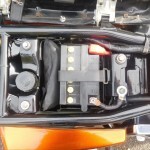 The ignition system was stripped, checked and cleaned. 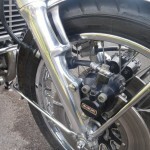 The contact breaker points and ignition timing were set to factory settings. 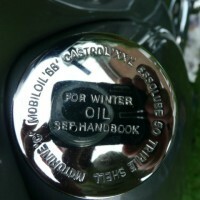 The oil pump was checked and reset to the factory setting. 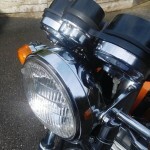 All of the black painted parts were de-greased, shot blasted and powder coated gloss black by a specialist finisher. 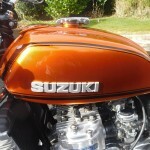 The fuel tank and side panels were sent to a specialist paint shop and resprayed Suzuki metallic orange. 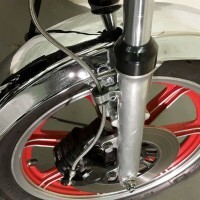 The front fork legs were also mirror polished. 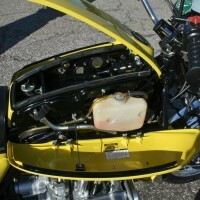 The coolant pipes were replaced. 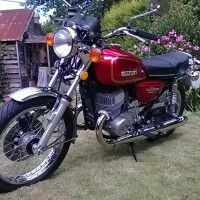 Another lovely restored Suzuki GT750 Motorcycle. 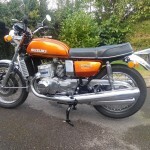 Suzuki GT750L – 1974 For Sale or Wanted? 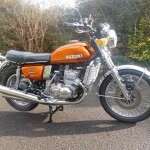 If you're looking for the perfect Suzuki GT750L – 1974 for sale then take a look at the hundreds of restored classic motorcycles listed on our extensive Motorcycles For Sale pages. 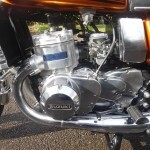 We regularly feature very nice restored Suzuki GT750L – 1974 bikes for sale. 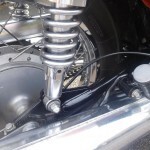 Spares and Parts for your Suzuki GT750L – 1974? 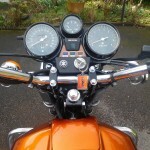 Workshop Manual for your Suzuki GT750L – 1974?